I’ve heard the video a few times over TV before I paid attention and found out the name of the song, the artist, where the video was shot, etc. Yes, heard it was, since I was multi-tasking like a central processing unit til the jingle-sounding melody finally unearthed my curiosity. Macy Gray didn’t pour me exactly my cup of mocha with her very popular single, I try, dating back to the her huge initial success with her first album. This latest, in 2010, Beauty in the world, videotaped at the Watt Towers, triggered another of my sequential flashbacks linkages. 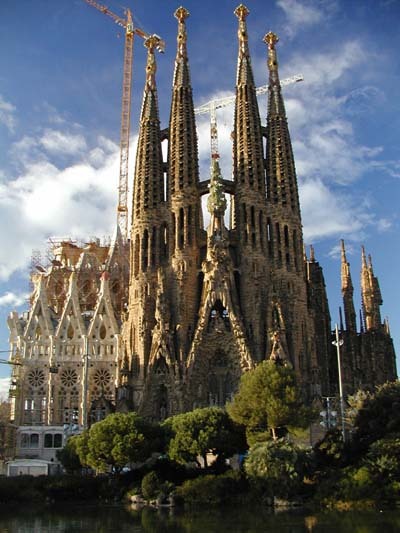 At first sight the Watts Towers reminded me of Antoni Gaudi’s la Sagrada Familia of Barcelona. The former brought to my mind the very district that had seen the Watts Riots in the 1960s, which I learnt of almost three decades later during the riots that erupted after the acquittal of 4 policemen in the Rodney King beating in 1992. 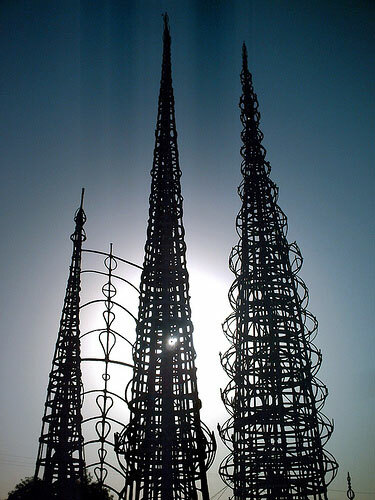 I didn’t know about the Watts Towers when I visited Los Angeles in 2002, I hadn’t been to Barcelona then , and I couldn’t have made any connections or had any architectual curiosity. Aesthetics or architecture aside, positive impression I have all along of Watts is U.S. Congresswoman Maxine Waters, who has been a prominent African American politician. She had worked in the district as a teacher assistant long before her political career took off. Do you see blue skies? do you see butterflies? And are you gonna pick your diamonds pick your pearls, as chimed Macy Gray. ahhhh a feel-good song won’t hurt, will it?